Looking for some garden gift ideas for the gardener in your life? 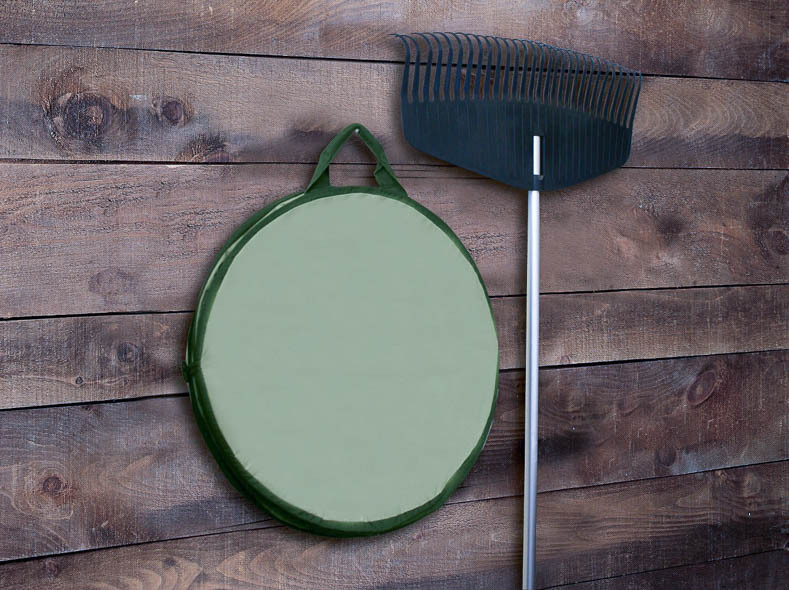 You are sure to find something they will like on this list of the best gifts for gardeners! When it comes to finding gifts for the gardener in your life, you’re in luck! There are all kinds of tools and gadgets that make gardening easier and also make perfect presents. Some of the products on this year’s list, I already own (and think every gardener should have!). 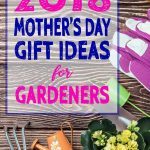 Keep reading to see my 2018 list of the best gifts for gardeners. 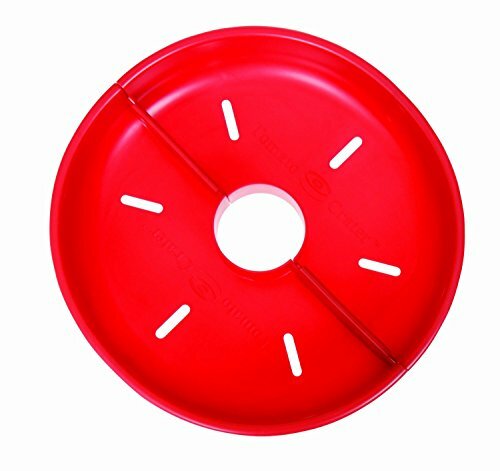 When I first saw the name of this gadget, I thought “What the heck is a tomato crater?” I have a couple of these not-so-obvious items on this year’s gift list! Simply put, this device makes tomatoes grow faster and bigger. It solves just about every problem I have ever had growing tomatoes, including one I didn’t know that I had. 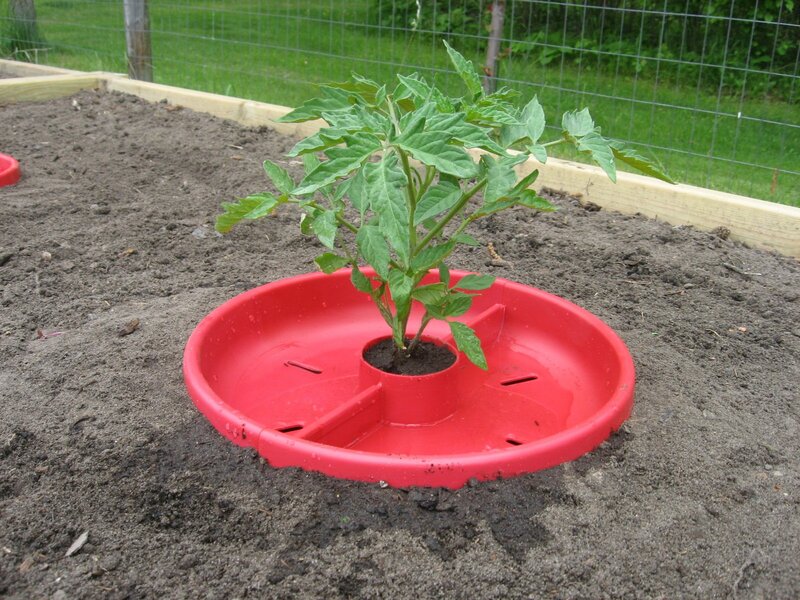 Just put it on the ground surrounding your new young tomato plants. It suppresses weeds, blocks cutworms, concentrates water at the roots, warms the soil to increase root growth, helps to prevent fungus from splashing up on the leaves from the ground, and even helps prevent blossom end rot. AND…here’s the one I had no idea about…the red color increases yields and makes the fruit set earlier. What??!! Apparently, research has shown that the color red reflects a certain spectrum of light that triggers photosynthesis…which stimulates growth and development in the plant. 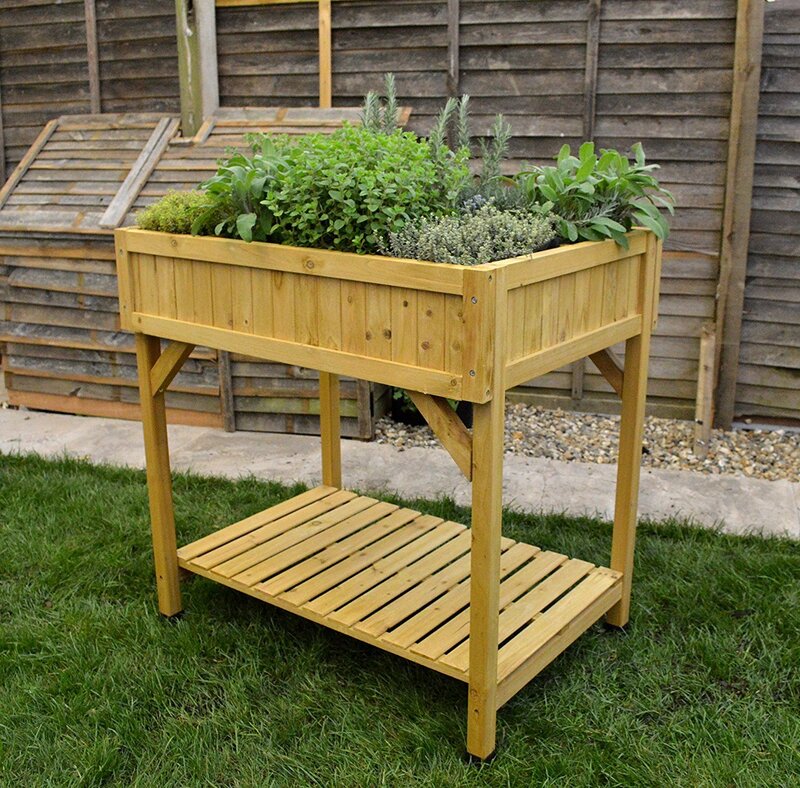 For anyone who doesn’t have a large yard, or just doesn’t want to bend down to pick their herbs, the Vegtrug Herb Garden* is perfect! It comes with dividers that create separate 7″ x 10″ spaces (about 6″ deep) for each herb. And the included liner protects the wood and helps to keep the water in. Finally, the shelf underneath is the perfect plant to keep your watering can and fertilizer, so they are close at hand for taking care of the herbs. 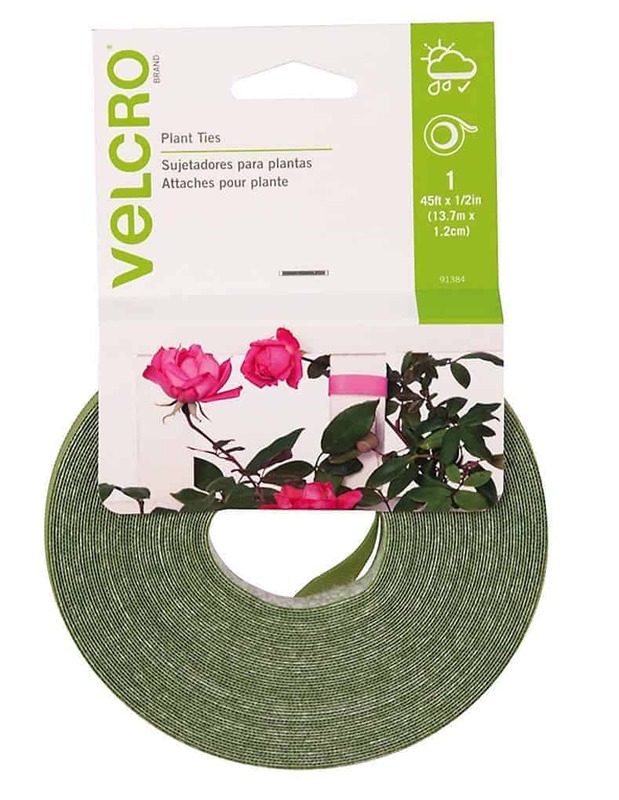 My mother gave me these Velcro Plant Ties* as a stocking stuffer for Christmas a couple of years ago and they are still at the top of my list of favorite gardening products! They make my life so much easier. 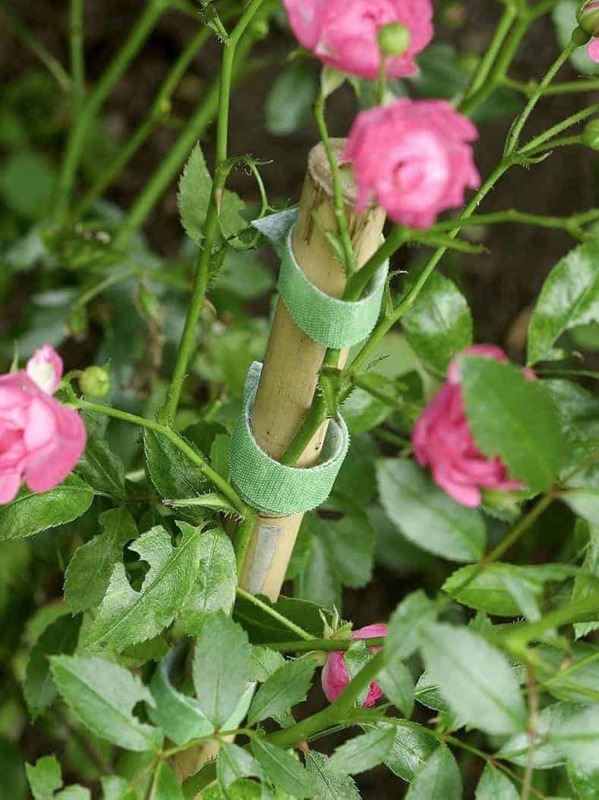 Just cut the velcro to the right length, wrap it around the plant and stake, and stick the ends together. No string or ties required! If you find that you have tied it in the wrong place, no problem! Unstick the velcro, move it to the right place and stick it back together. 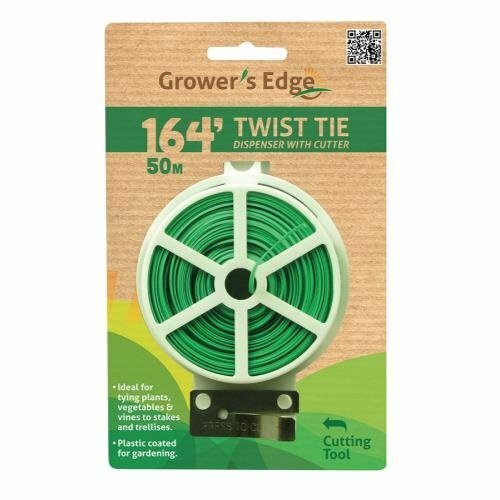 While the velcro ties are great for plants that are fairly easy to contain, these Gardening Twist Ties* are awesome when you need something a little sturdier…like tying up melon vines, or hanging tomato cages from the shed rafters. The cutter is attached to the spool, so there’s no need to carry around a pair of scissors (that will inevitably get left/lost in the garden somewhere). And it’s long enough that you can tie up pretty much anything! The next item on my gifts for gardeners list are these write-on plant labels*. They will make sure the gardener in your family remembers what was planted where. They are tall enough that they won’t get lost on the ground and wide enough to print the longest plant name. I love the copper ones that will develop a beautiful patina over time. However, if copper isn’t your thing, they are available in a variety of other colors and styles. Just make sure to use a permanent marker* if you want to make sure the printing doesn’t come off. 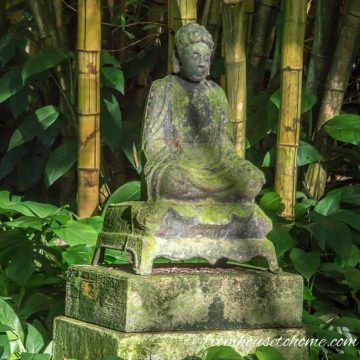 It seems like I am always hauling things around the garden…plants, statues, bird baths, Halloween skeletons…you get the idea. 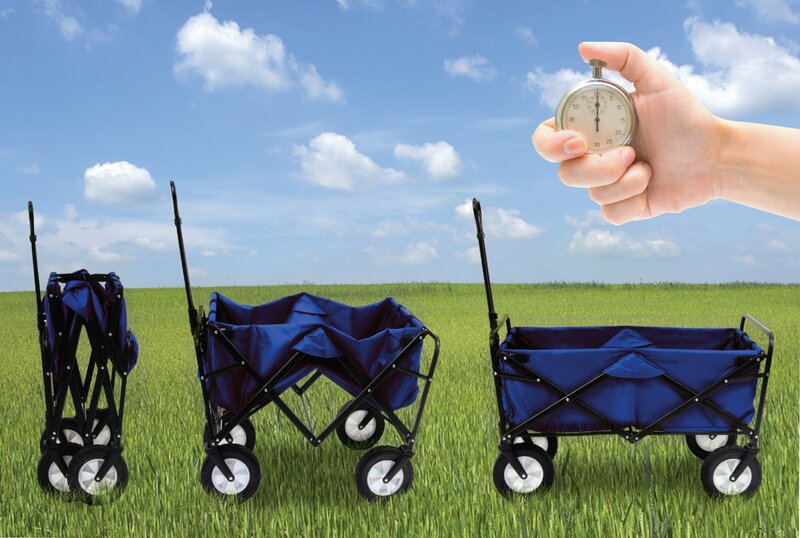 So a garden cart is a necessity! But having a folding one would be even better. It would take up so much less room in the shed! 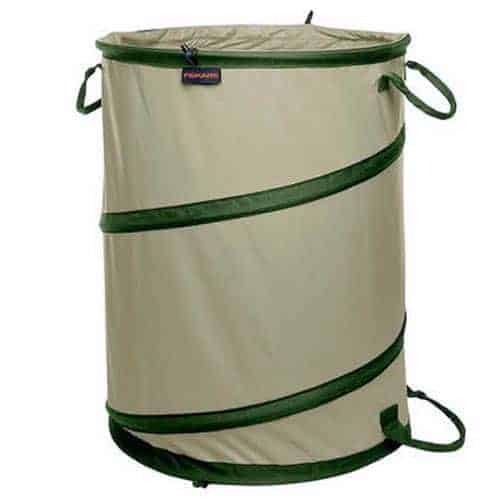 This one* has large 8″ wheels, can hold up to 150 pounds and folds down to 9″ in width. It’s even available in different colors…like pink! 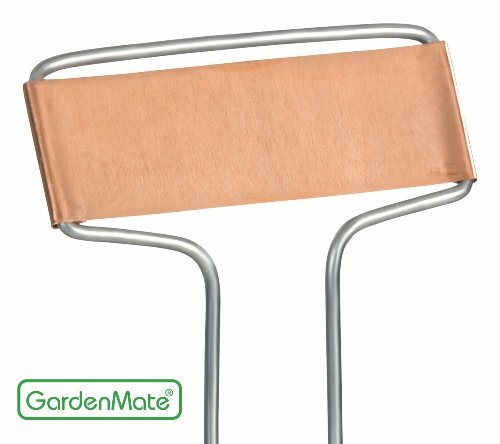 Speaking of fold-able products, how about this garden bench/kneeling pad?. 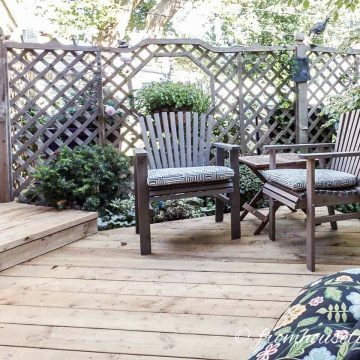 Having a garden seat makes those long days of pruning and weeding a little easier by providing a place to sit. 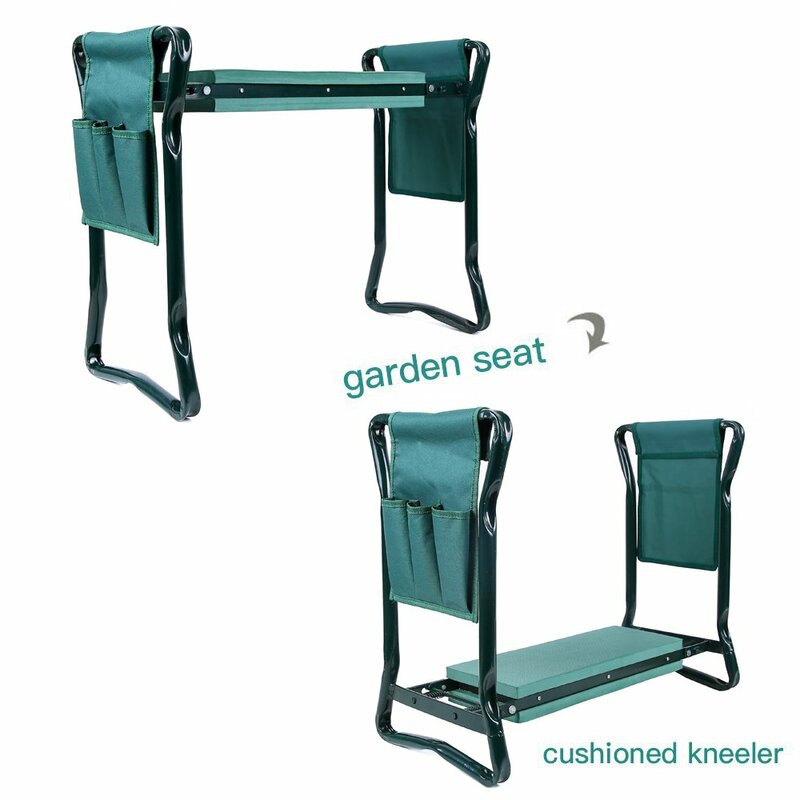 This fold up portable garden seat* is easy to move around. 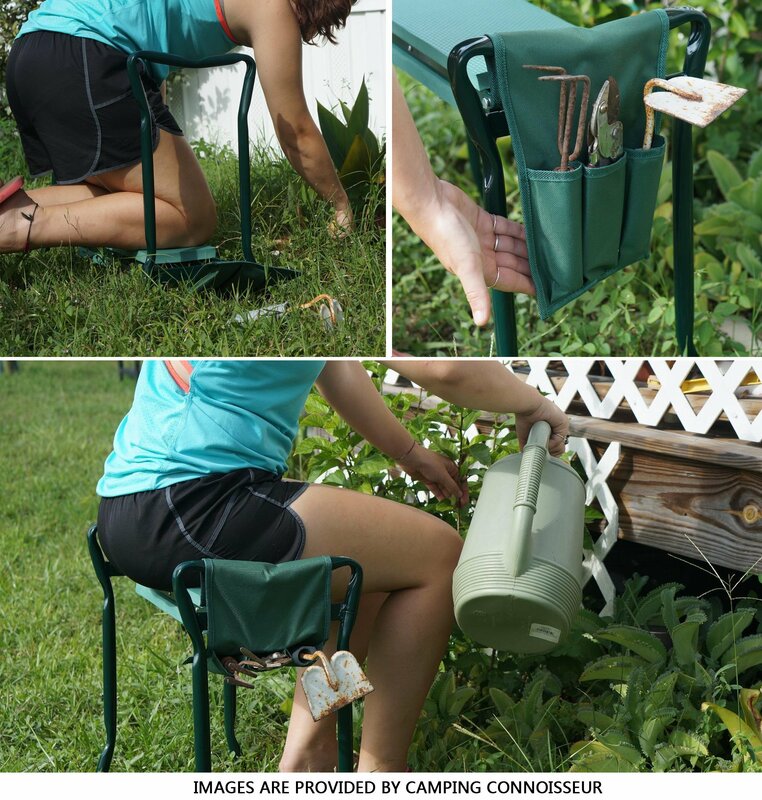 Look for the ones with the handy tool caddy attached to the side…it definitely helps keep the garden tools from getting left behind! It can also be turned upside down and used for kneeling. And it folds up for storage…so that it doesn’t take up a lot of room in the garage or shed. Another gardener gift option is the rolling garden seat* which is very convenient for pruning shrubs or deadheading flowers. You can roll right along without having to get up. 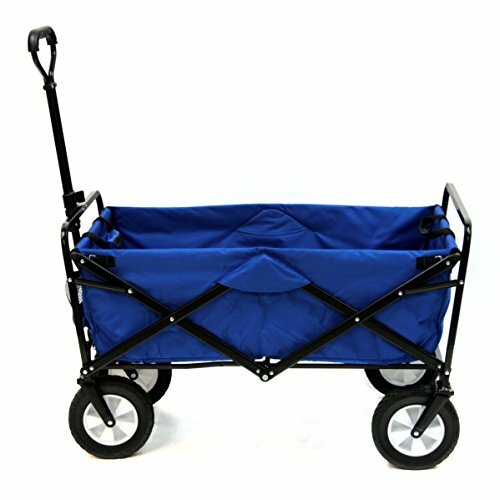 This little cart is light and easy to move. 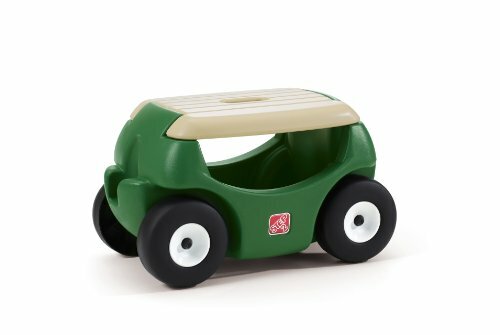 And the large size wheels make it easy to roll. It comes with a cup holder on the front, tool storage inside and a handle on the top so it can be picked up easily when you are done working. This is another one of those products that I wasn’t too sure about when I first saw it. And then I realized what the claws were for. 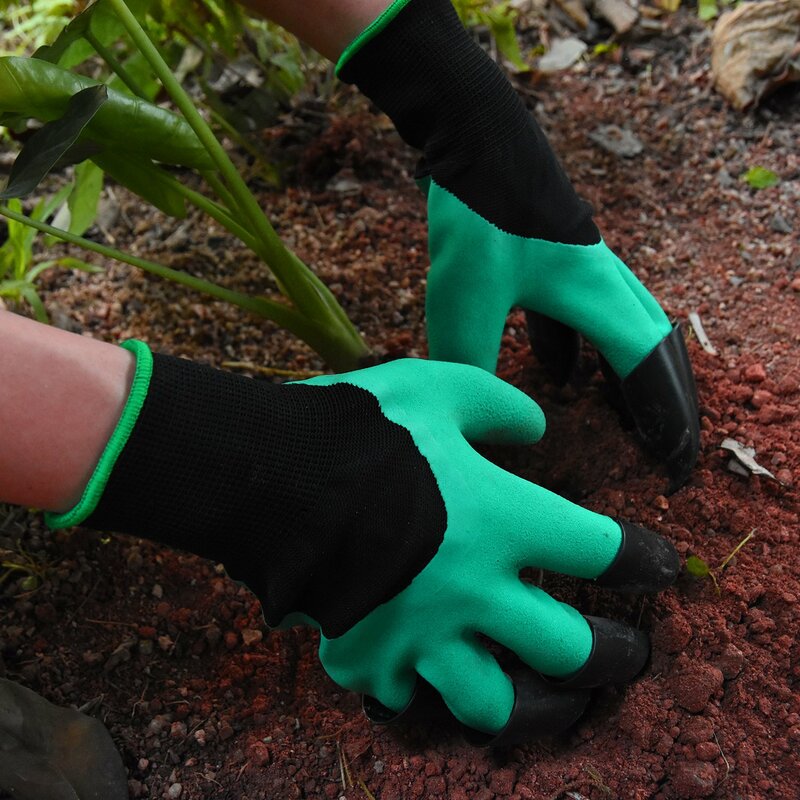 Whether you are trying to scrape away compacted mulch, dig a small hole for a plant plug or just generally use your hands as a shovel, those claws really come in handy! The gloves are also water proof, and you can get them with claws on just one hand or both. 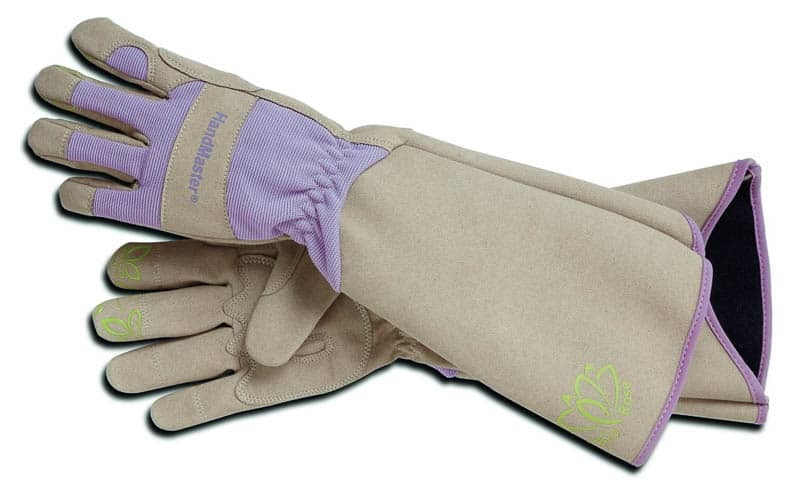 If your gardener’s yard has any kind of bushes with thorns (roses, raspberries, blackberries, etc), then these are the garden gloves* they need! They really are thorn-proof, they fit well enough that you can still have full finger motion, and the elbow-length cuff helps protect your arms from scratches. After I got these gloves, I pretty much gave up wearing any other kind. In fact, I’ve worn them so much I could use another pair (yes, that’s a hint). 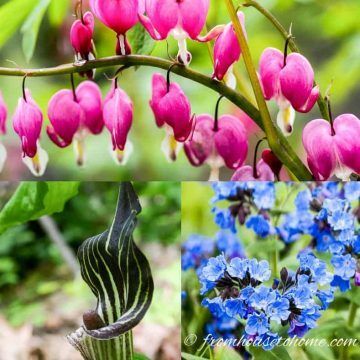 If your gardener likes to plant tulips, daffodils, and all kinds of other bulbs, this bulb planting tool* is a huge time saver! Attach it to a drill and it does all of the work. I prefer one with a shaft that is a little longer so you can stay standing while you drill the holes. It’s important that the end which goes into the drill is hexagonal, not round. Otherwise it will come loose during use which is really annoying! These bypass loppers* have a special gear-based closing mechanism that lets you cut up to 2″ branches with hardly any effort at all. They are a little more expensive than some of the other loppers around, but they are so easy to cut with, it is definitely worth the price! 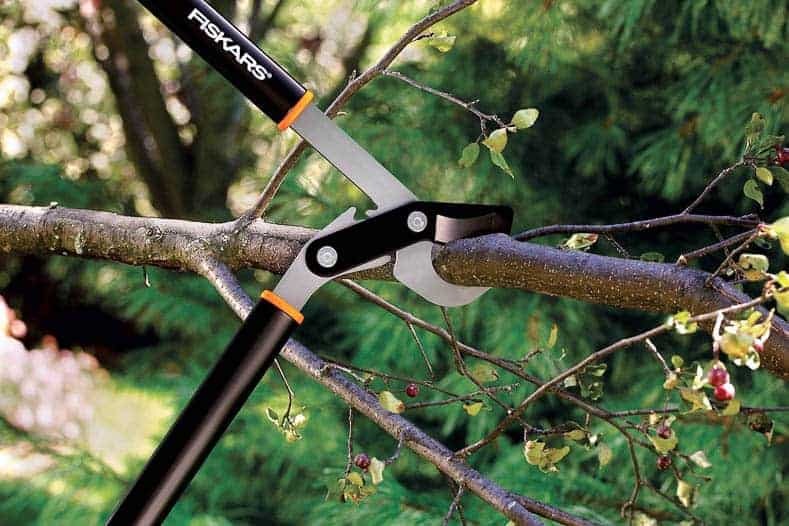 I love mine so much that I use it for pretty much all of the pruning in my garden. 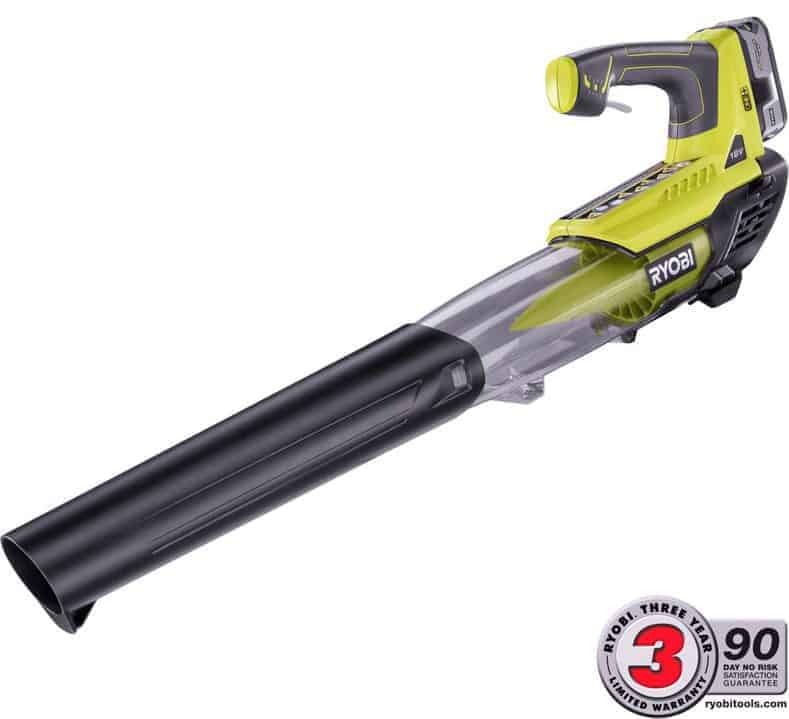 I didn’t even own a Leaf Blower until I got this cordless one* last summer. I always figured I would never use it, because trying to drag the cord around would be too much work. But now that I have one with a rechargeable battery, my deck, patio and sidewalks are cleaner than they have ever been! The battery lasts for about 30 minutes before it needs to be re-charged, which is usually long enough to get the job done. As an added bonus, it uses the same batteries as the Ryobi cordless tool line. So if you already own some of those, this tool will fit right in! 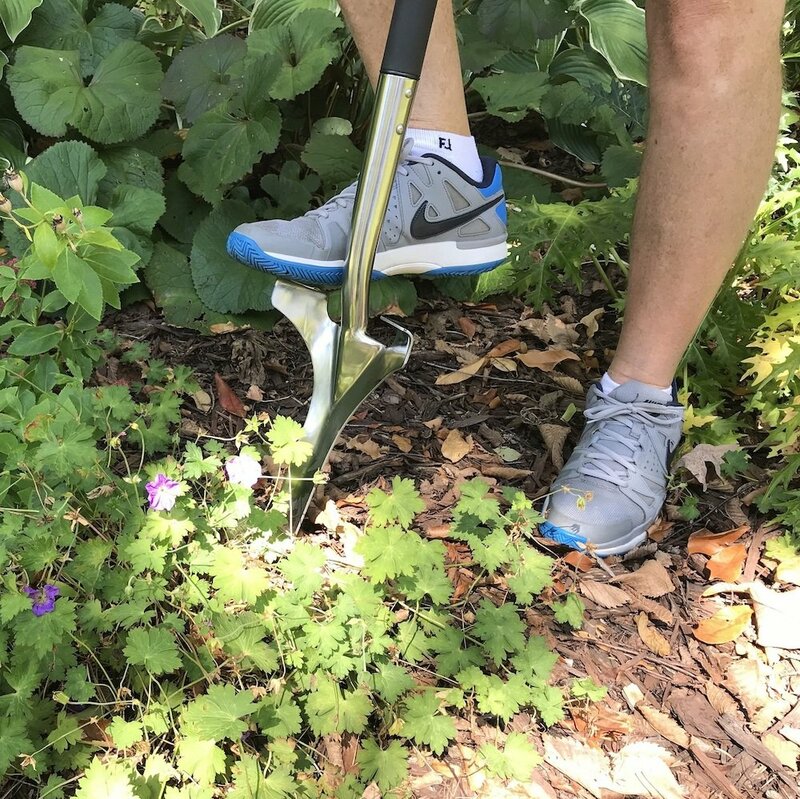 The long end on this weeder* makes it easier to dig down to the bottom of the weed roots so you can get the whole thing out…perfect for getting rid of dandelions once and for all! And the large O-shaped handle makes it easier to get a good grip on the tool. 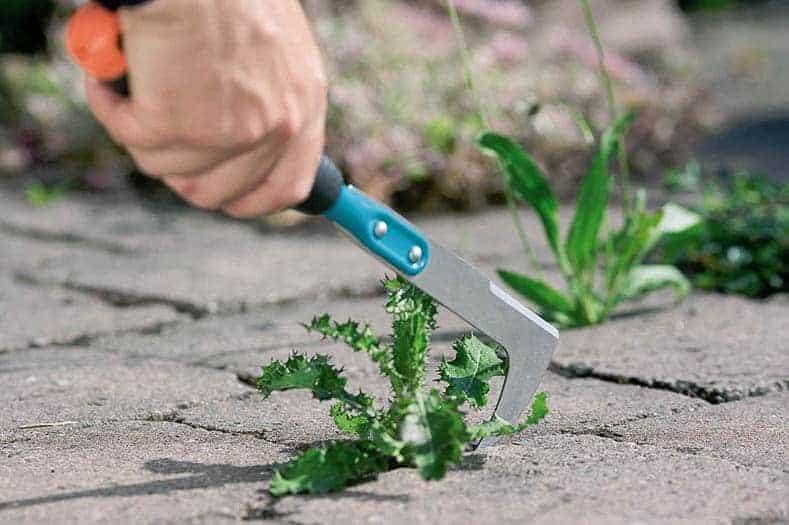 This hand tool* with a thin sharp edge makes removing weeds from between patio stones much easier. The sharp corner on the back of the blade can be used to cut the weeds and the long end will pull them out. I’m definitely hoping to get one of these! Since I’m usually working in my garden alone, one of the issues I have is trying to hold a bag open while simultaneously stuffing leaves or clippings into it. This pop-up garbage can would be perfect for this! I could throw everything in it and then dump it wherever I need it to go. Then when you’re done, it folds up so it doesn’t take up much storage space! 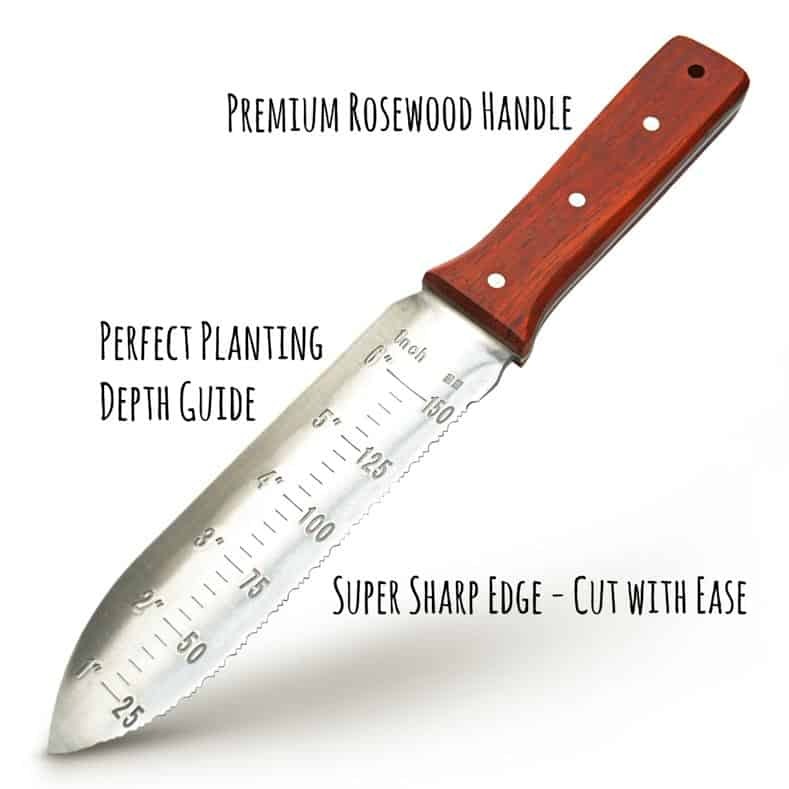 The Hori Hori garden knife* is next on my list of the best gifts for gardeners. 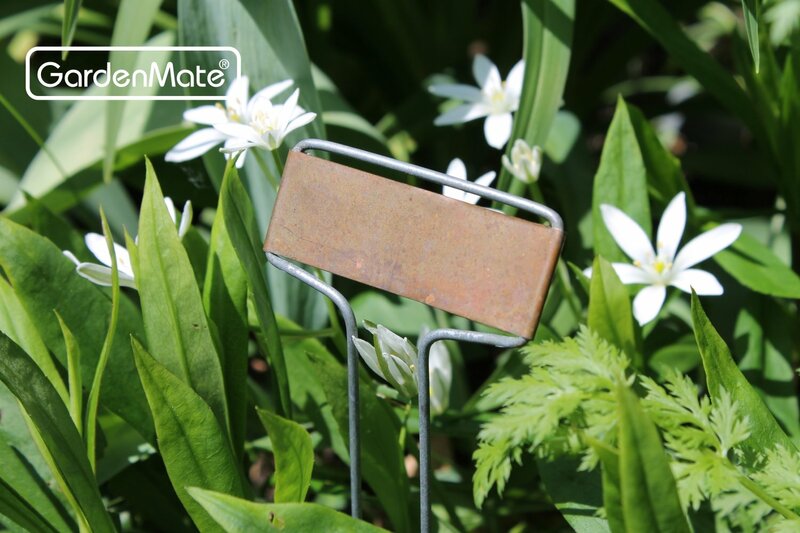 This tool is perfect for planting new plants or bulbs, and also works great for weeding. The sharp edge of the blade acts like a knife making it easy to cut through the dirt (or weed roots). 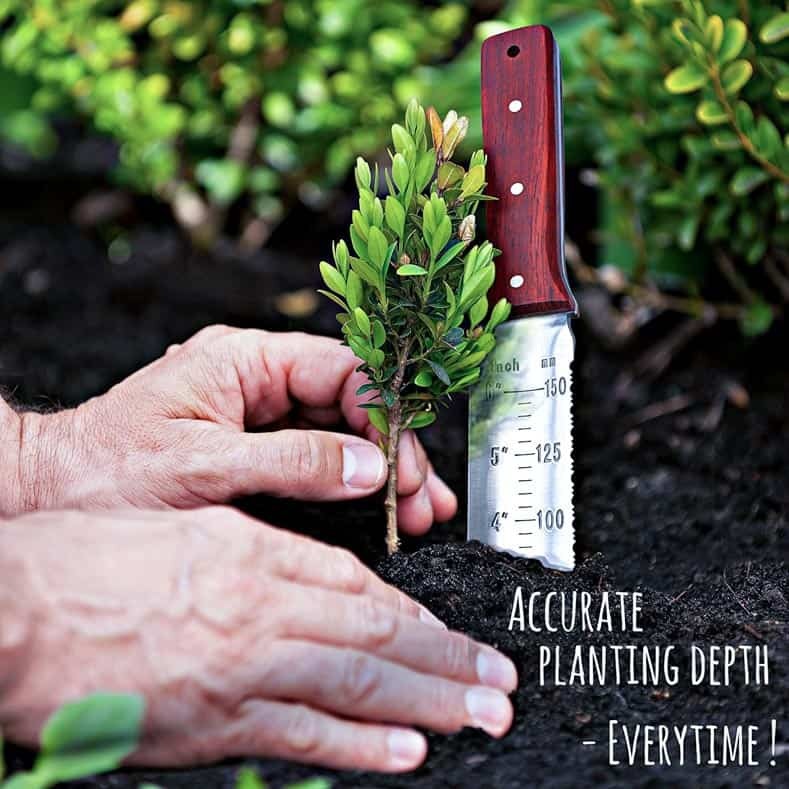 Look for one with measurements on the blade which makes planting bulbs to the correct depth much easier! 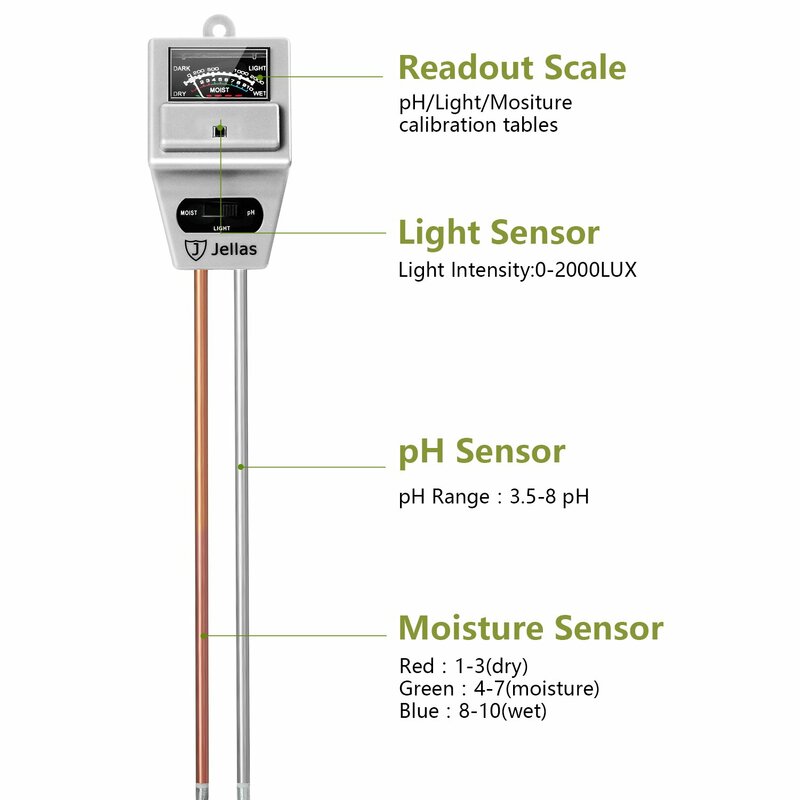 This sensor reads the light levels, moisture levels and pH levels of the soil, which is very useful for making sure the plants are happy! 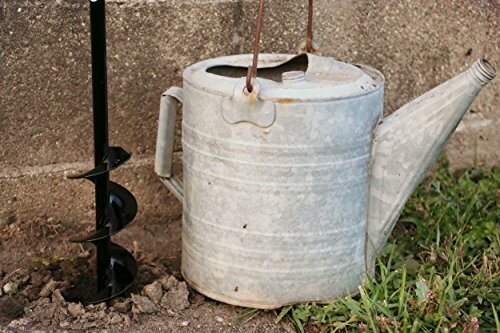 The Haws watering can* has been made in England for more than 100 years and there’s a good reason why. It is perfectly balanced to make pouring water without spilling effortless. The long spout makes it easy to water those hard-to-reach hanging baskets. And there’s a filter that prevents the spout from getting clogged with debris. You can get them in the original metal finish (such as this one) or the plastic variety which has the same great ergonomics with a smaller price tag. I have 2 of them and I wouldn’t trade them for anything! Here’s the last option for this year’s gardening gift guide. 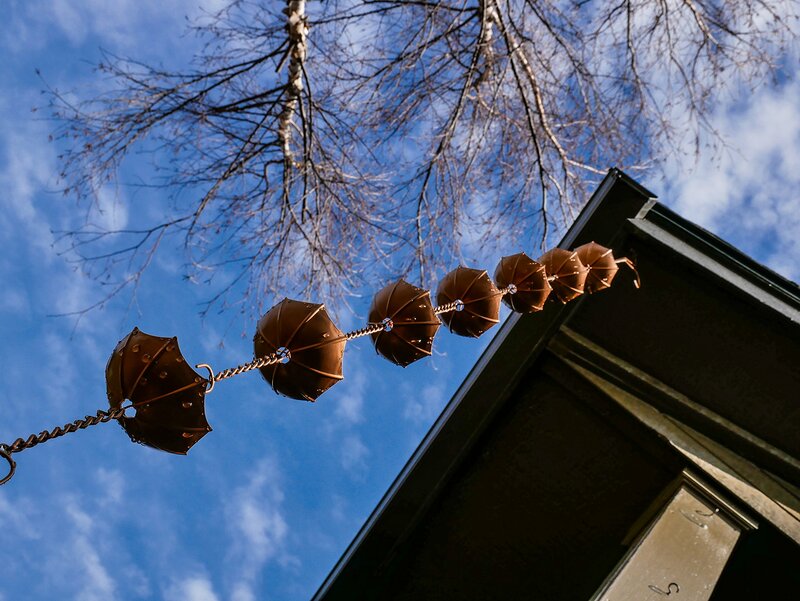 Rain chains* are a great way to replace the downspouts on a house with a more attractive (but still functional) solution. If you’re not sure what they are, you can read all about rain chains HERE. They are available in all sorts of colors and designs and look really pretty when water is running down them. 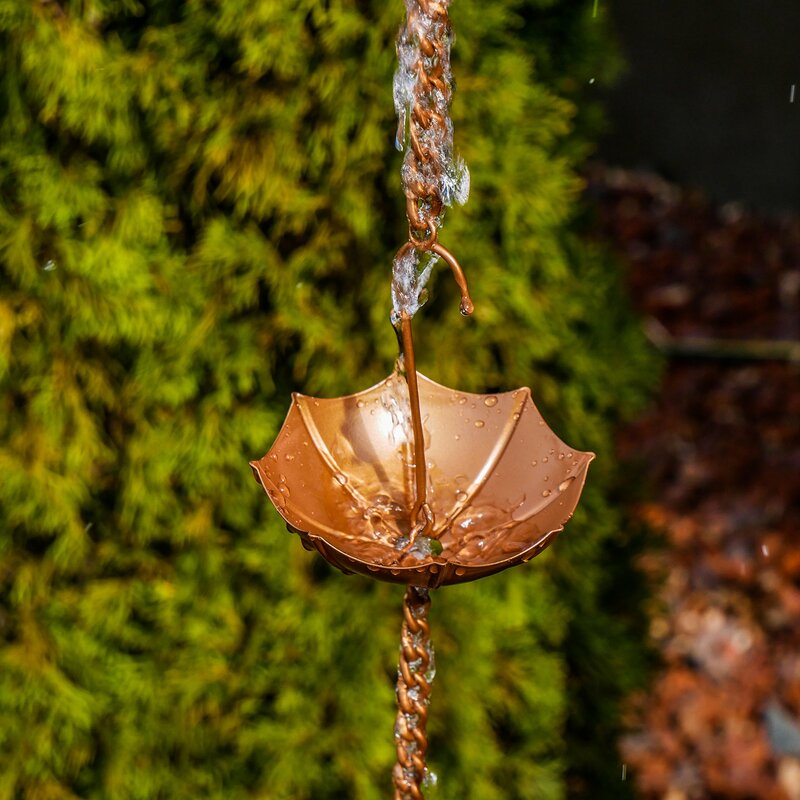 If you prefer to make your Christmas gifts rather than buy them, a DIY rain chain may be a good option. That’s it for this year’s gardener gift guide. 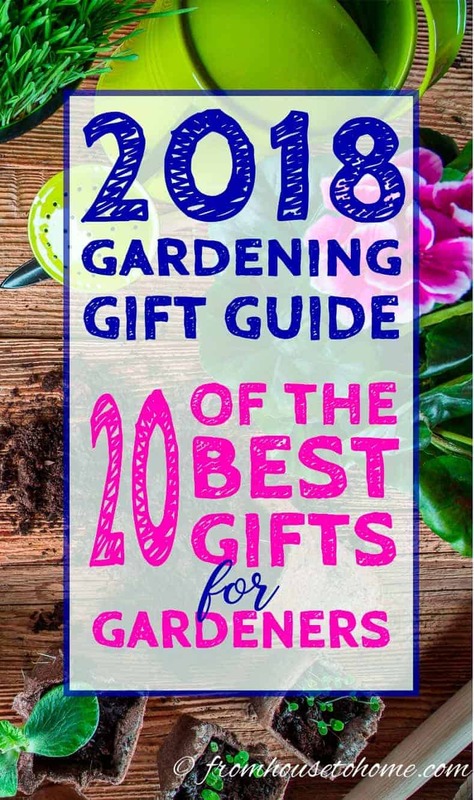 Hopefully you have found some gift ideas that will be perfect for the gardener(s) on your list! 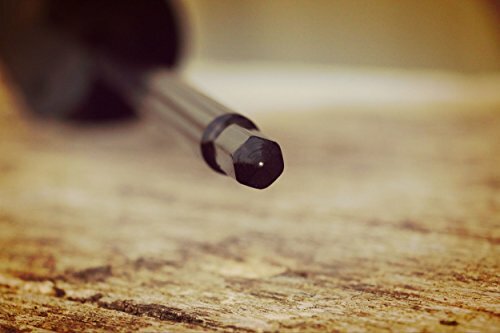 If you still want some other options, tryout my list of tools that make the best gifts. 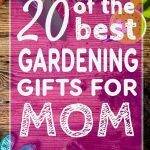 Have comments or questions about our Best Gifts For Gardeners? Tell us in the section below. You’ve got some great gift ideas here. I have several of them already and can attest to their value, such as the hori hori knife and the collapsible can. I can’t live without either of them. Now that collapsible cart is something I don’t have and I love that you included plant ties. These are something I always need but forget to buy. Great list. 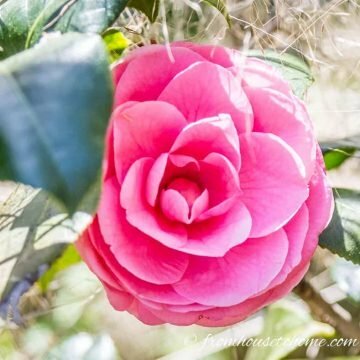 I’m not a gardener (yet) but I have aspirations! Some of these are so smart! Even for someone who just does basic yardwork. Thanks for the ideas!